Do you love white color outfit ? Raise up your hand . Hihihi..
Why do you like white hues outfit ? 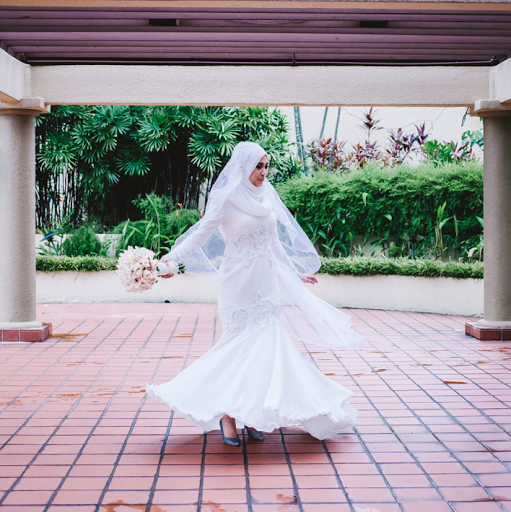 For me, white hues represent purity , clean and sweet . Sometimes , it is a savior color for me when I hardly to choose what color I will be wearing for the day. 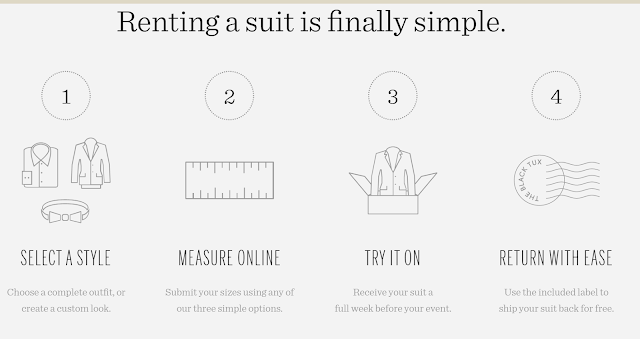 "Last week, I found out about The Black Tux, and online tuxedo rental company. 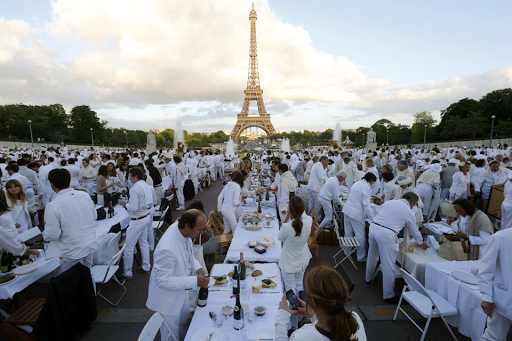 Since The Black Tux has a great White Jacket Tuxedo, I thought it would be fun to talk about a really fun event called Diner En Blanc." It is totally a beautiful event . It's originality from Paris. But , now the event already spread out all over the world . But , not yet in our country Malaysia. 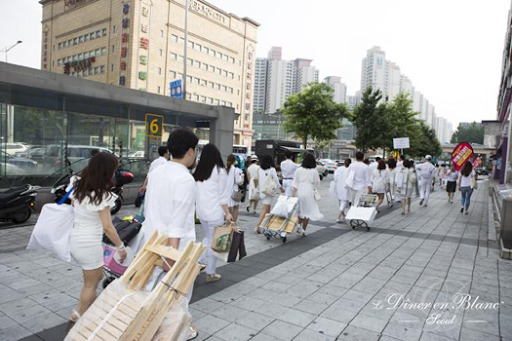 To attend this event , you must dress up in all white outfit . And you need to dress up elegantly . The best part is you need to bring a table with chairs in white as well . 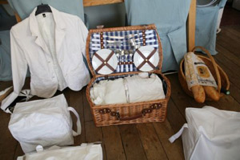 Your picnic basket must be including white table cloth and napkins , your own gourmets , cutlery , dishware , glassware . For more details about the event , you can just click here. 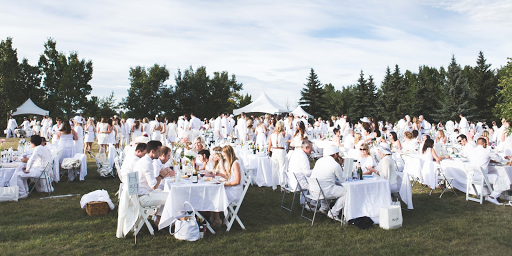 "What style I'll be wearing in white , if I've been invited to an event called Diner En Blanc ? " . I will choose something that is simple and casual style yet look elegantly . Here are some outfits that I will choose for the event . 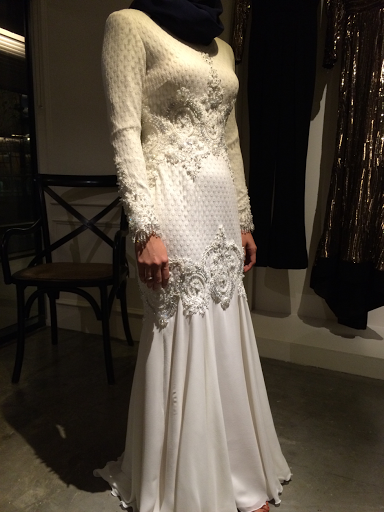 Or maybe I will be wearing my white wedding dress ? Of course without the veil . Nowadays , I just fancy about culottes . Culottes really make me feel comfortable when I wear it . If I wanted to look simple yet classy . Maybe I will choose as per below outfits. As for my other half a.k.a my husband . Such a nice suit for the event . The Black Tux is an online tuxedo or suit rental company. 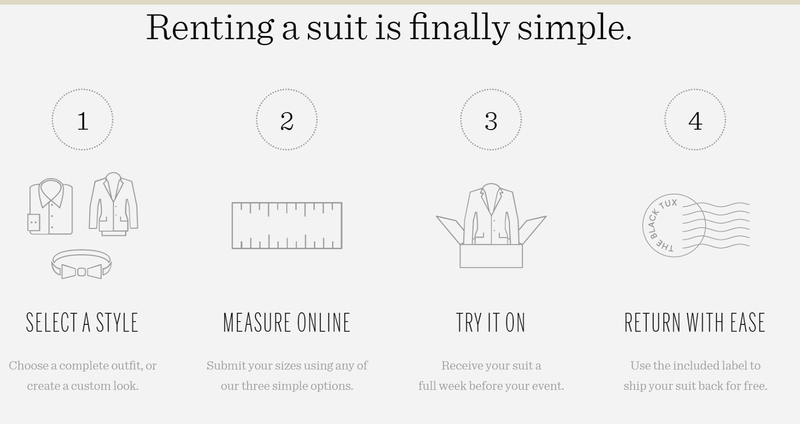 They offered a great service if you want to rent a tuxedo or suit for any type of event. All can be done through online . A picture below will tell you how their services work . So , what do you think ? Let's make a guess . Which outfits will I choose ? For any ideas or comments , you can just leave in the space below . Have a nice day , all . Hihihi... Agree with u too~ babe !!! Hihihi ... Mana satu JM ? This is my first time i visit here and I found so many interesting stuff in your blog especially it's discussion, thank you. Thank you for reading and comments . (^_^) . Malaysian . Petite. 1986 . A daughter . A sister . A wife . A Banker . A Dreamer . Interest in Instagram , travel , fashion , photography , flower , books , movies , Korean drama , foods . This small space of mine will be my " recording device " for any moments happen in my life. So , I can remember and reminisce each moment because every moment has its story. It comes once in a lifetime . Let's spread the love. New Photography Gadget : Which One Do You Prefer ? SPRING KOREA TRIP - DAY 3 : APGUJEONG RODEO - KPOP OR CHERRY BLOSSOM ? SPRING KOREA TRIP - DAY 6 : WHERE TO EAT IN GYEONGJU? SPRING KOREA TRIP - DAY 8 : FULL ITINERARY AND BUDGETING - GOODBYE KOREA , HELLO MALAYSIA !!! Selamat Hari Kemerdekaan ke-59 , Malaysia . Lazada Unity Sale - What Makes Us Malaysian ? Queue Up , people !!!! 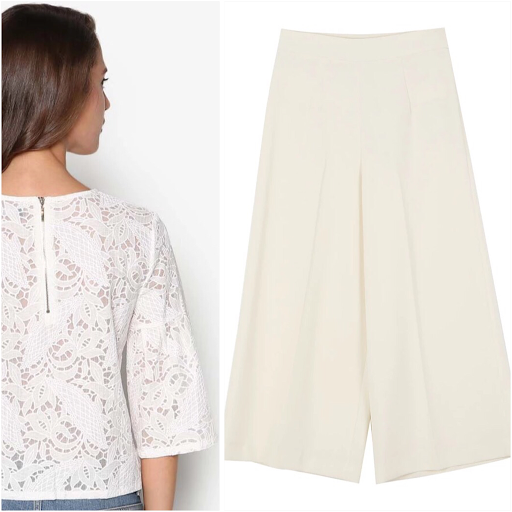 Peonies on Lace - Yay or Nay? Pencarian Bloglist untuk Blog GadisGenits. nadiaizzaty has read 2 books toward their goal of 30 books.